The automotive industry is warning that an EU proposal set to be adopted on Thursday (17 May) does not give enough lead time before limits will be required. But the US and China have had limits in place for several years. 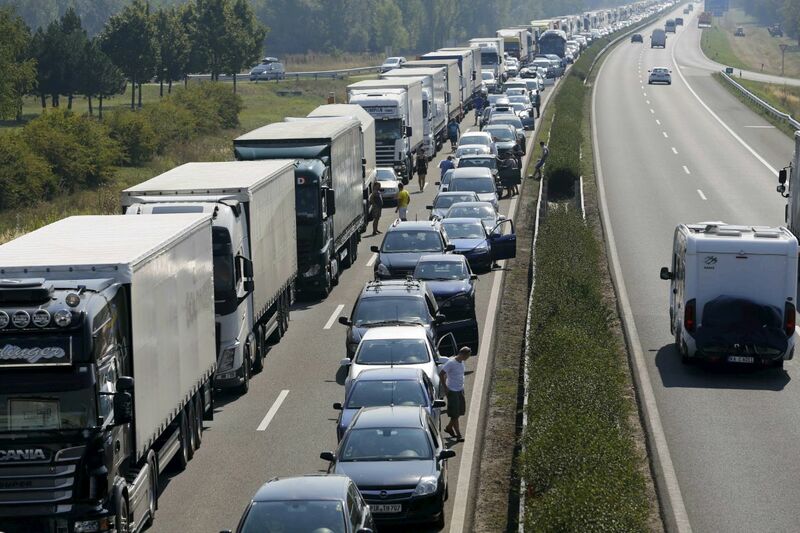 While cars and vans in the European Union have had limits on the amount of carbon they emit for some time, until now trucks have avoided the same fate. That will change on Thursday, when the European Commission adopts a proposal for the EU’s first CO2 limits on heavy-duty vehicles. 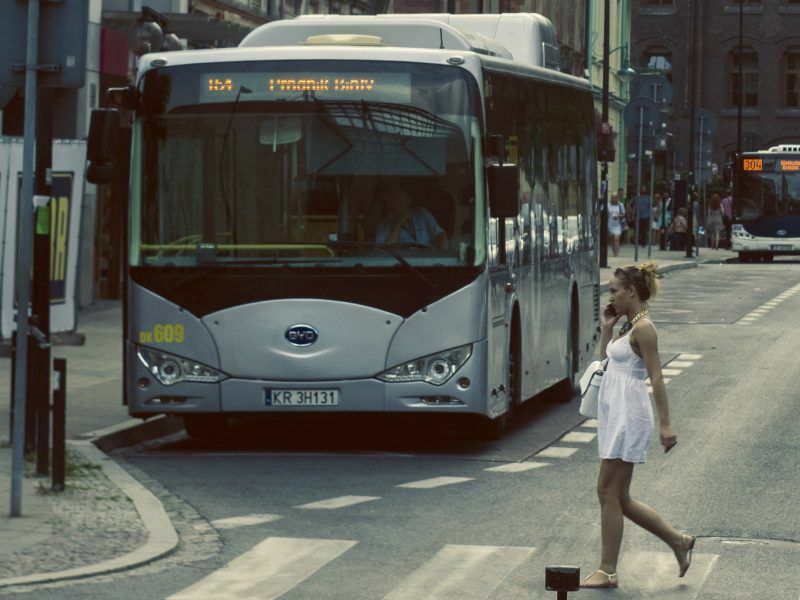 These vehicles make up just 5% of all road traffic, but account for a quarter of EU road CO2 emissions. That’s not just because they’re bigger – it’s also because they are driven more often and over longer distances than cars. Though no figure has been confirmed, the Commission is expected to propose a reduction of at least 30% by 2030. 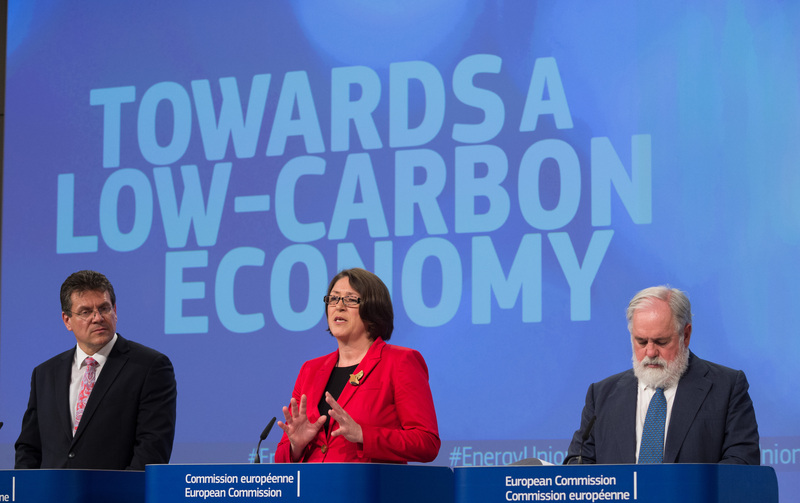 All new trucks built after the legislation takes effect – expected in 2020 – will have to comply with emission limits designed to get the EU to the headline goal. The limits will apply to fleet averages, and will not apply to older vehicles. Trucks could be much more fuel efficient and save hauliers €5,700 a year if they used technology that is already available, according to a new report by sustainable transport group Transport & Environment (T&E) released on Tuesday (26 September). The EU is late to the party in setting truck standards. Such limits already exist in several countries including the United States, China, Japan and Canada. The US has set a relatively short lead time for truckmakers to be compliant, requiring results in the early part of the next decade. There has been speculation that US President Donald Trump will scrap the US truck standards along with car standards. 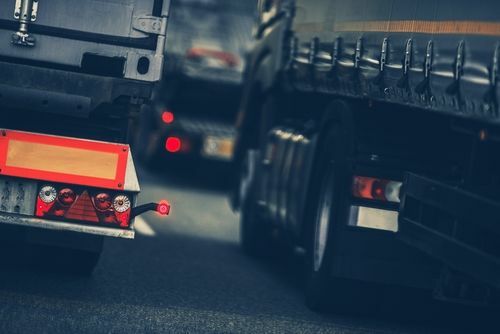 But Christopher Grundler, Director of the US Environmental Protection Agency Office of Transportation and Air Quality, told a conference on truck emissions in Brussels last month that the US truck standards are staying put, even if the car standards may be scrapped. He said he believes automakers are capable of accommodating the given lead time. Some EU member states, including France, are pushing for a higher target for 2030 of up to 45%. They also want a 24% interim target for 2025. The Commission is expected to propose an intermediary target of 15%, though it is unclear if this would be mandatory. Automakers have warned that that the Commission is trying to transplant its car CO2 regulation onto trucks, although they are two very different vehicle types. “Unlike passenger cars, trucks are not consumer goods,” said Erik Jonnaert, secretary general of the European automakers association ACEA. “They are working tools used by small and large businesses alike.” Not allowing enough lead time to reach the CO2 limits, he warned, could harm not just auto manufacturers but also delivery services and businesses. ACEA wants to see a 16% tail-pipe CO2 reduction between 2019 and 2030, with an intermediate target of 7% in 2025. They also want 2019 to be used as the baseline for the reduction, because that is when a new CO2 calculation tool, called VECTO, will be used by all manufacturers. Campaigners want the baseline to be 2005. EU member state ambassadors struck a deal Friday (15 December) on monitoring and reporting rules for CO2 emissions applying to trucks, opening the way for negotiations with the European Parliament to finalise the law next year. 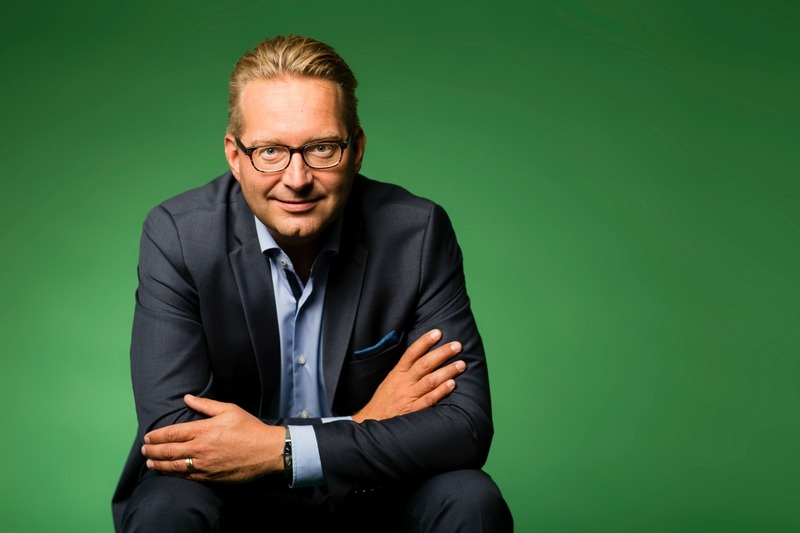 Joachim Drees, CEO of German truckmaker MAN, said at the truck fuel event last month that manufacturers welcome the introduction of fuel standards because there can be benefits for improved efficiency. But he has also cautioned against a ‘one size fits all’ approach. Given the many parts of the economy that depend on trucking, Wednesday’s decision, expected to be announced in a press conference on Thursday, will be closely watched. Retailers have been pushing for an ambitious target, because it would translate to savings in delivery costs. In a letter to Commission president Jean-Claude Juncker sent earlier this month several companies including Carrefour, IKEA, Unilever, Heineken, Nestlé and logistics giant Geodis said a 24% target for 2025 is necessary and feasible. Such a target would help the trucking sector meet its climate goals and save businesses €7,700 per year, per truck, they wrote. 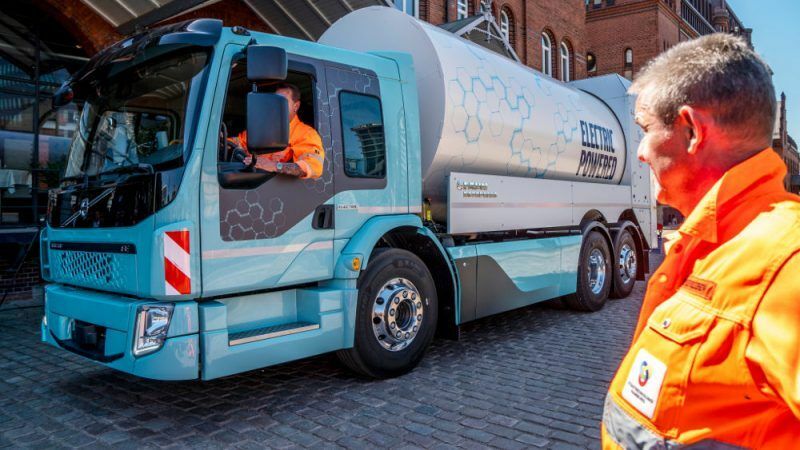 The companies also called for a mandatory sales target for zero emission trucks, in order to stimulate their development, which has been slow so far. “Policy makers need to create the right framework conditions to help us and the sector as a whole to achieve our [climate] targets,” the letter states.